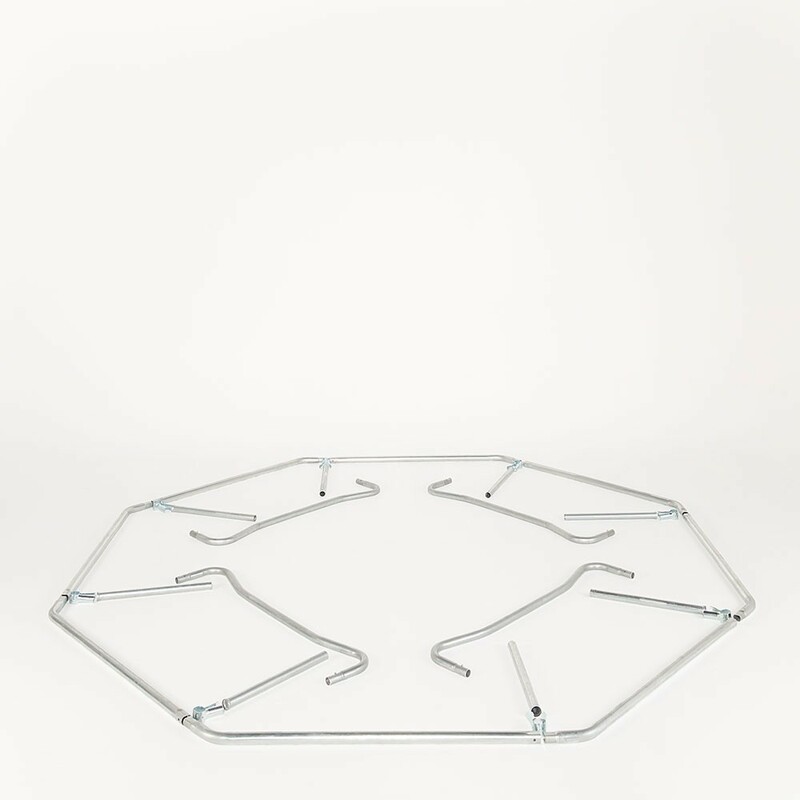 12ft Octagonal 3.60 m trampoline for teenagers and adults. 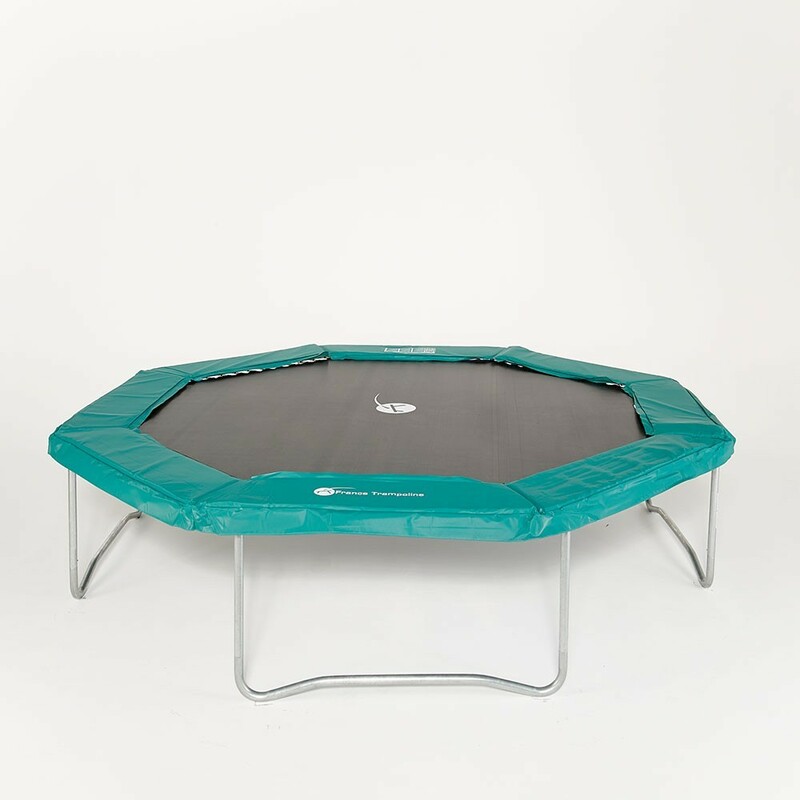 This octogonal Waouuh 360 trampoline is an excellent replacement solution for your worn-out 4-legged octagonal trampoline. 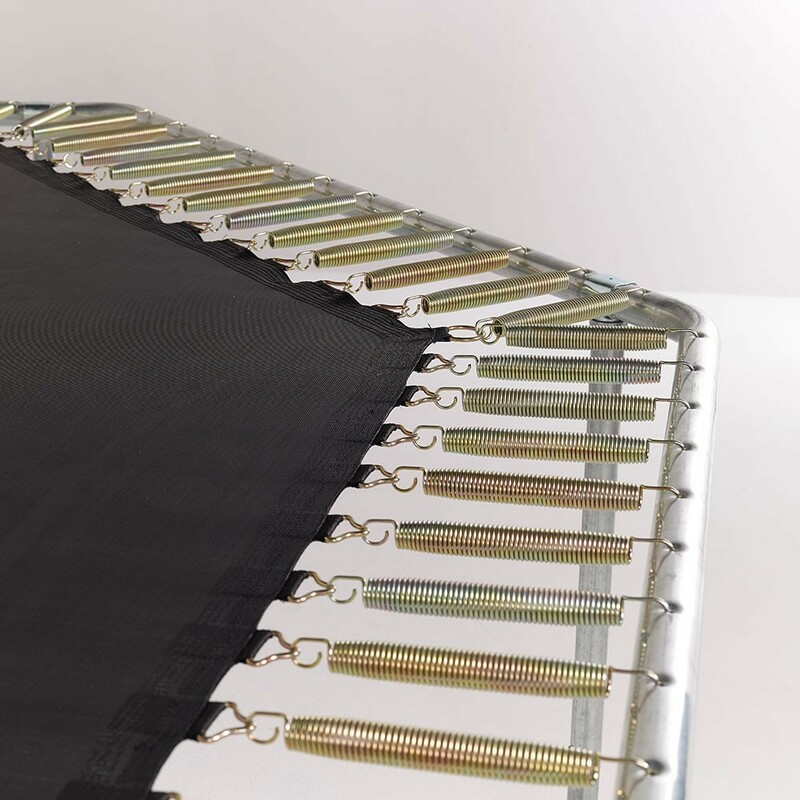 Over time, one or several parts of your current trampoline need replacing, which could prove to be costly. 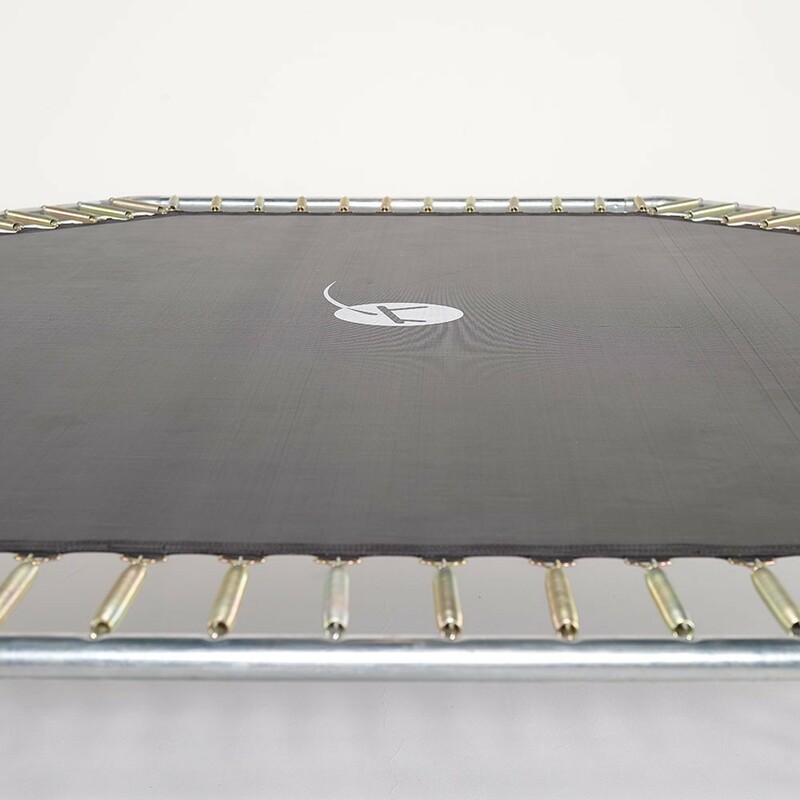 France Trampoline's gives you the option of replacing only the trampoline, while continuing to use your current safety net, provided that it is in good condition. 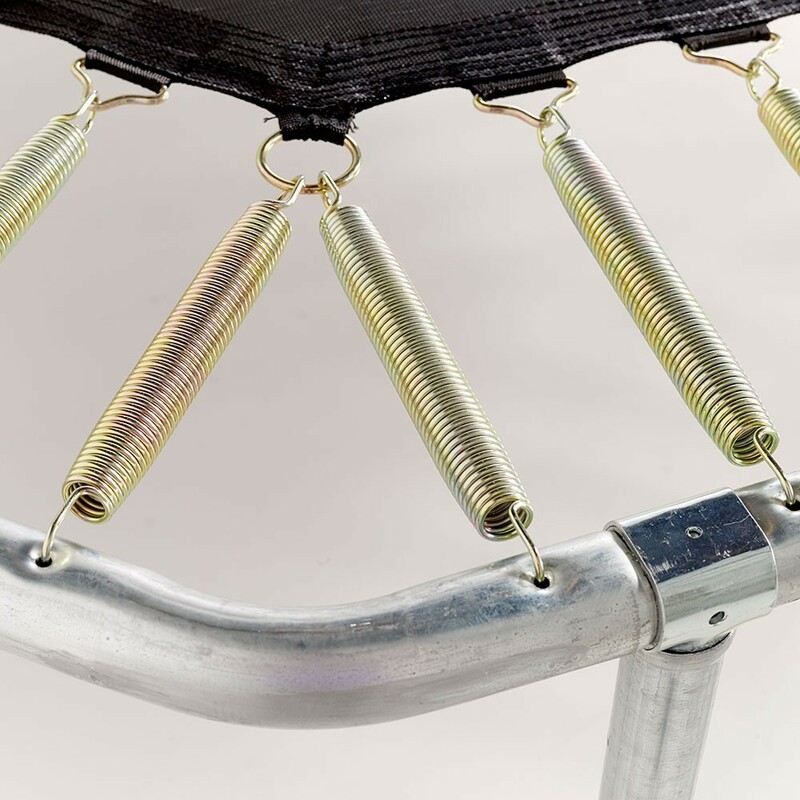 - The octogonal trampoline has 4 legs, and so the safety net that surroounds this outdoor trampoline should have 8 net posts that are attached to the legs by means of mounting brackets. 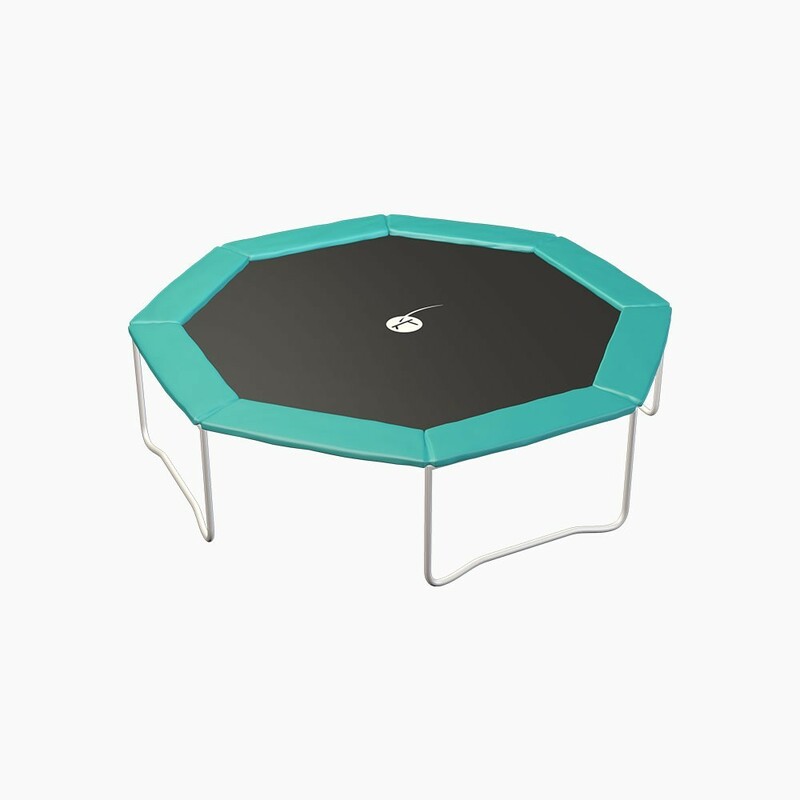 - The France Trampoline Waouuh 360 outdoor trampoline's solid steel frame can withstand weights of up to 170 kg. 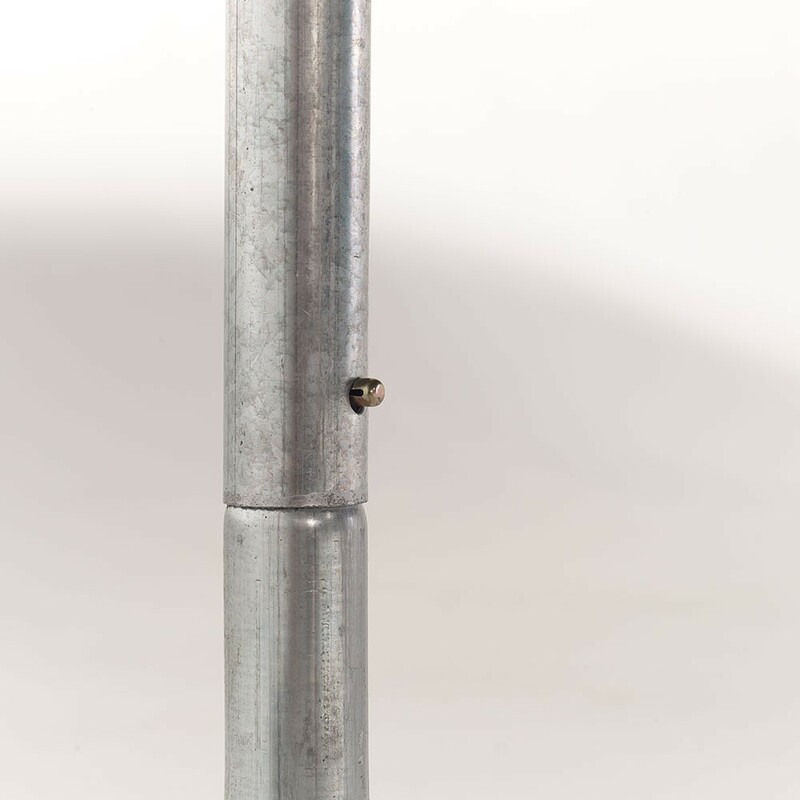 Its octogonal design, created by assembling straight tubes, gives it added rubustness. The frame is also corrosion-resistant. 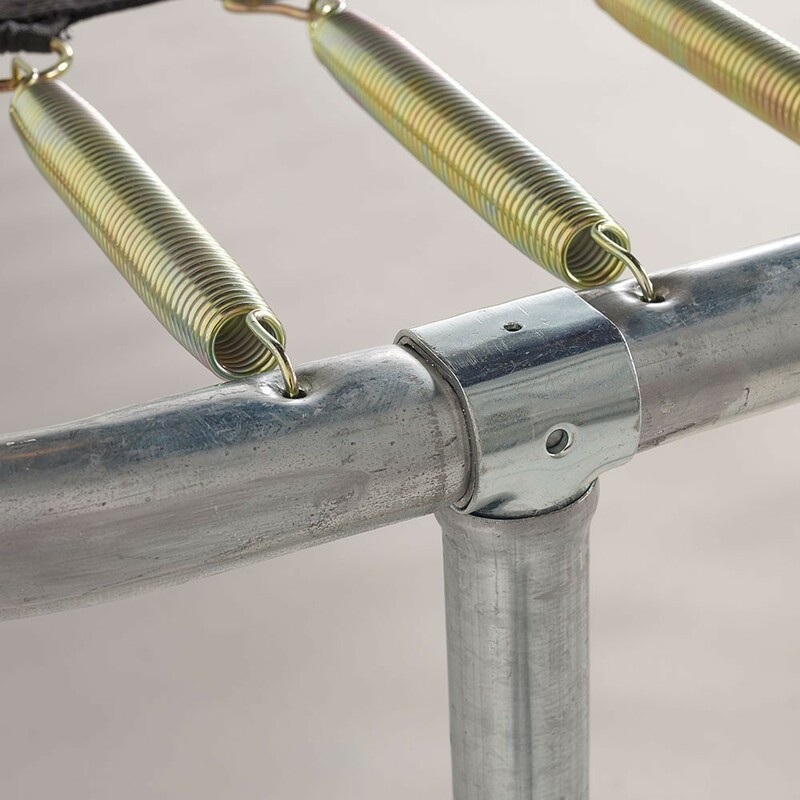 - The 88 springs of this trampoline measure 230 mm in length and have a great deal of coil tension to give it a lot of bounce. 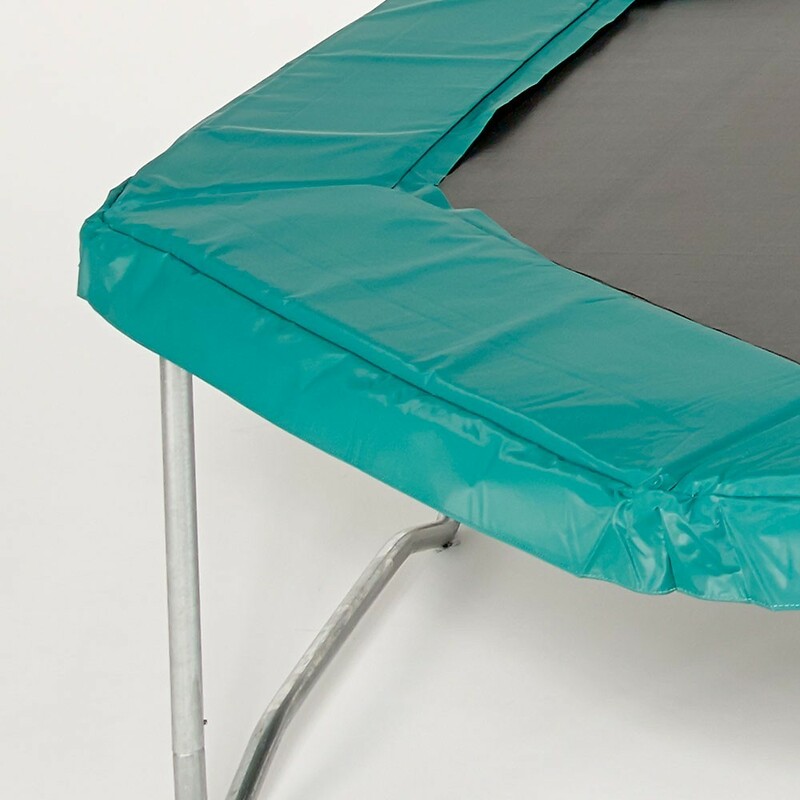 - The trampoline's jumping mat is made of black polypropylene and is UV- and water-resistant. 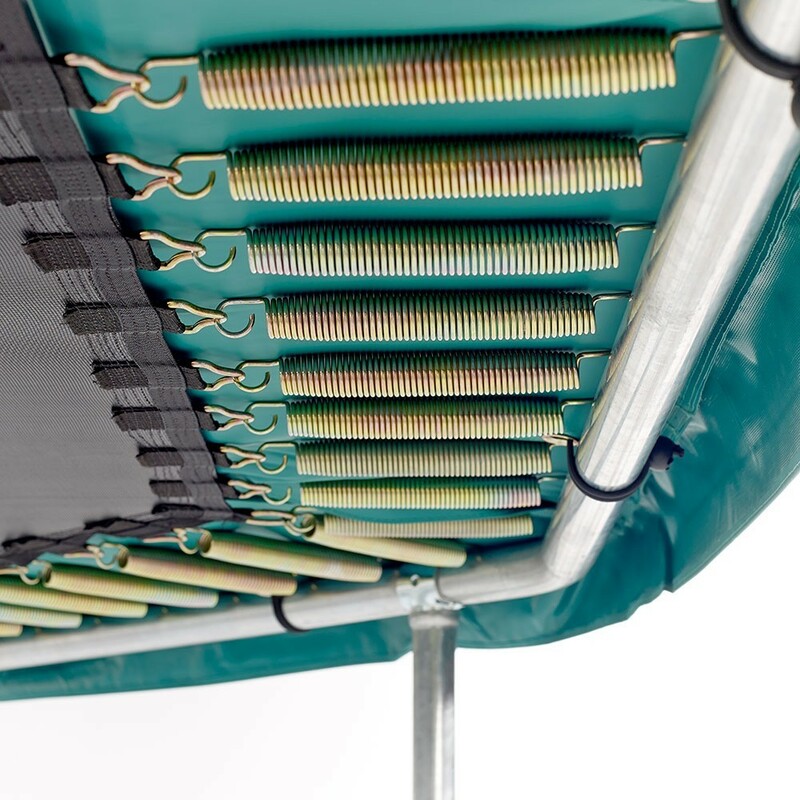 The thick straps that attach the jumping mat to the springs are reinforced with 8 rows of stitching. - It ia also equipped with a thick, green, UV-resistant safety pad for additional safety.